Pastor, evangelist, Bible scholar and teacher, exponent of the Scriptures, apologist, professor of religions and philosophy, writer and poet, - these are some of the services that Dr. John Reynolds has had the opportunity of using during his 35 years of Christian ministry. 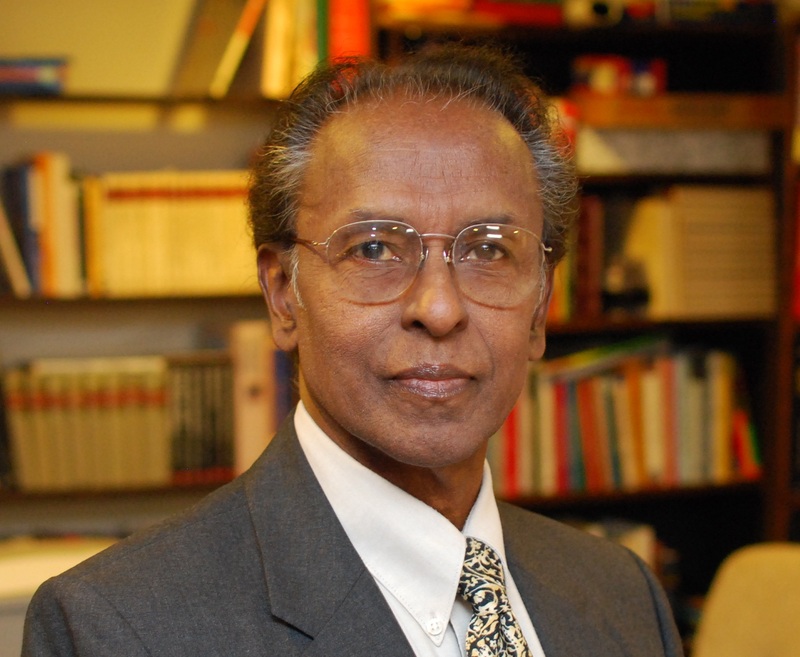 Earlier, he served as educator and administrator of educational institutions in India. With major shift into Christian ministry due to aptitude for deeper understanding of the message of the Bible and knowledge of world religions, he took up systematic study of religions, theology and philosophy in the Seminaries of the US. This opened up to the study of the common themes in various classical religions and their present forms. This also culminated with the major study of The Redeemer God (God of human manifestation) in the classical religions of the Ancient Middle East, Ancient Egypt, the Vedas, the Hebrews and of the Bible leading to Christ (Th.D.). Motivated by the understanding of the documented anticipation in the common human religious thought for the ‘Savior,’ Dr. Reynolds felt impelled to attempt “justification of Christ.” Through theological reasoning based on the Bible and on humanity’s anticipation for the Savior, he developed language for apologetic form to bring the Christian message to the educated, the intellectual and the religious of the non-Christian world. Tested through interaction with the intellectuals and the religious heads of other faiths in cities such as Bangalore, Hyderabad and Patna, Dr. Reynolds saw the efficacy of this approach in dialogue with these enquiring masses about Christ. He felt that such skill should be made available to Christian preachers and evangelists for use in dialogue with people of other faiths. 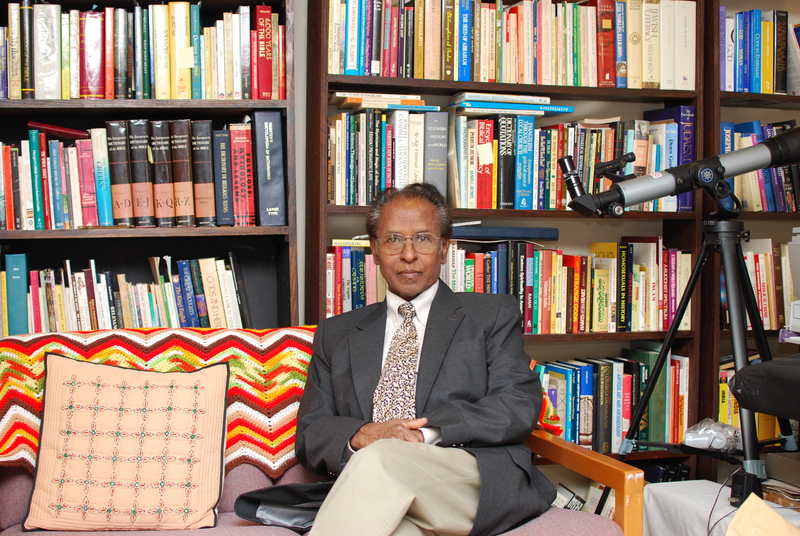 While working on the concept of the ‘Redeemer’ in religions, Dr. Reynolds acquired skill at the use of God’s comprehensive work through the human history, and the theology of the Bible to, a) construct ‘continuity in God’s work in the human history,’ b) unravel the enigma in the complexity of claims of parallel concepts in religions, c) recognize basic issues that hinder Christian witnessing among people of other faiths, and d) provide tools to witnesses to God of Jesus Christ and the work of Christ in the world, avoiding awkward refutation and ridicule of religious and faith issues of the other faiths and religions. As a result, topics such as God, idolatry, sacrifice, sacrifice of the Son of God, God’s (perceived) revelation in a specific geographical scene to a specified people (Israel), etc., - to mention just a few, can be seen addressed in this series. One of the hobbies of Dr. Reynolds is reading and writing religious poetry. Having majored in English (M.A.) he developed appreciation and aptitude for English classical literature and poetry. In addition to being busy with writing on some pertinent theological and Biblical themes - (some in book form), he also takes time to write some long poems on Biblical themes. In the process of composition are, The Humble God, God and Cain, The Path of the Magi and Search for God in the Ancient Man’s Modern mind. Samples of these also will soon be available on the website to acquaint the readers with. An anthology of poetry would come out at a later date. A singer and writer and a playwright, he also composed many songs in Telugu for Christian worship, and wrote plays (drama) while in India. Another important project on hand is an abridged version of the Bible, exclusively intended for distribution among people of other faith (termed as - For the First time Readers of the Bible). This Bible will have books of Job, the Gospels, Psalms and Proverbs. It contains an appendix with introductions to books, an article on the Bible as a whole, its theology and some notes. This Bible will be in English and 4 Indian languages. John Ambati Reynolds has had his education in India: B.A., B.Ed., M.A (Eng). His secular career as educator began in Hyderabad as Principal of Christian and private High Schools and a college in Secunderabad. From Seminaries in the US he earned M. Div., M. Th., D. Min., and Th.D. He is an ordained minister, now retired to Michigan, having served the American Baptist and the United Methodist Churches in the US for over 35 years. Dr. Reynolds also taught in Illinois State colleges as an adjunct professor of religions and philosophy. He served as a chaplain in a Detroit hospital. Dr. Reynolds does occasional preaching and speaking in churches and conferences on evangelism. His approach and emphasis in these presentations is mainly on “Christian witnessing” through incisive Biblical study, exposition and dynamic methodology. Time permitting, Dr. Reynolds will be available as conference speaker and presenter of ‘witnessing models’ through (his) seminar format (in English or Telugu). Dr. Reynolds and wife Victoria have two daughters and a son, - all living and working in California. They have three grandchildren.